Potrero del Sol has recently been remodeled. Lots of neighborhood kids are excited about the new skate park there, the biggest in San Francisco. 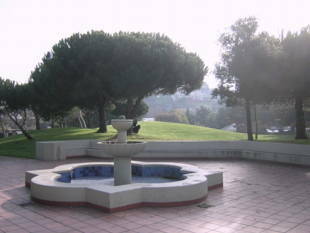 The park currently has pathways and benches, rolling hills, lawns and trees. 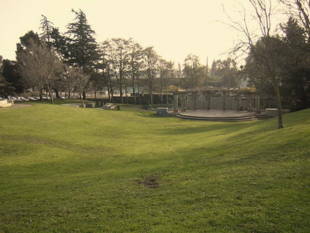 The skate park replaced a pond at the lower end of the park. 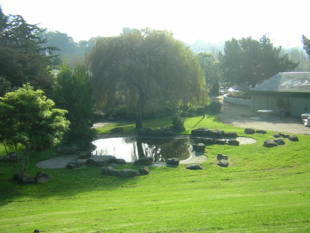 In addition, there is plenty of grass to run around, kick a ball, or have a picnic on. A performance space and a lovely community garden are there to enjoy as well! 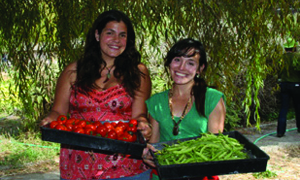 For the community garden, Mary Beth Pudup at 415-641-8988; e-mail pudup@ucsc.edu. More information available at the Recreation and Parks Department Urban Agriculture website. 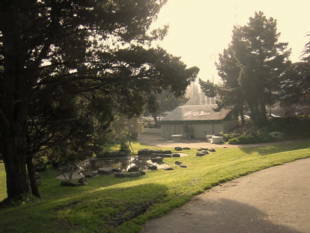 Potrero del Sol Park is owned by the San Francisco Recreation and Park Department. Muni access: 9-San Bruno, 10-Townsend or 33-Stanyan -- 25th St. and Potrero Ave.